Aloha, fellow gamers!! This is the time of year that we all look forward to on the yearly gaming calendar (next to the dates of certain game releases we are looking forward to) is the annual Electronic Entertainment Expo, also known as “E3.” This year, the conference takes place at the Los Angeles Convention Center in Los Angeles, California. As with CES 2012 and the AIA 2012 Convention, I will be doing this for the rest of E3, and now that day three of E3 2012 is complete, I wish to provide a few briefs about my five favorite stories made today at the show. Aloha, fellow gamers!! This is the time of year that we all look forward to on the yearly gaming calendar (next to the dates of certain game releases we are looking forward to) is the annual Electronic Entertainment Expo, also known as “E3.” This year, the conference takes place at the Los Angeles Convention Center in Los Angeles, California. As with CES 2012 and the AIA 2012 Convention, I will be doing this for the rest of E3, and now that day two of E3 2012 is complete, I wish to provide a few briefs about my five favorite stories made today at the show. Aloha, fellow gamers!! This is the time of year that we all look forward to on the yearly gaming calendar (next to the dates of certain game releases we are looking forward to) is the annual Electronic Entertainment Expo, also known as “E3.” This year, the conference takes place at the Los Angeles Convention Center in Los Angeles, California. As with CES 2012 and the AIA 2012 Convention, I will be doing this for the rest of E3, and now that day one of E3 2012 is complete, I wish to provide a few briefs about my five favorite stories made today at the show. Annually around this time of year, the American Institute of Architects convenes for its National Convention and Design Exposition. This year, the convention takes place at the Walter E. Washington Convention Center in Washington, D.C., where the theme this year is “Design Connects”. Now that day one of 2012 AIA National Convention is complete, I wish to provide a few briefs about the stories made today at the show. As with CES 2012, I will be doing this for the rest of this convention, so now, here are my favorite stories from day one of the 2012 AIA National Convention. 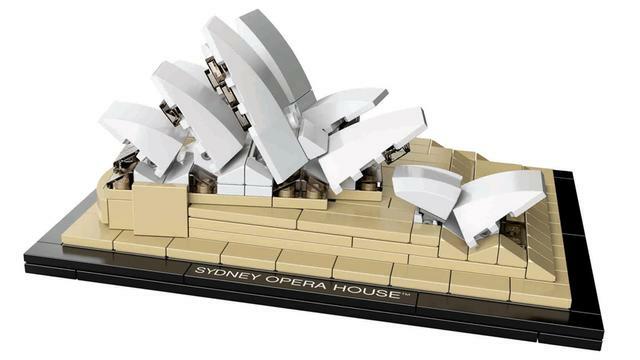 I Wouldn’t ‘Leggo’ of this LEGO Sydney Opera House set! I love, love, LOVE LEGOs! I remember receiving my first 3 LEGO sets when I was 5 years old (just before I started Kindergarten) and having a blast building and playing with them. As the years went on, I got more LEGO sets, and built several custom buildings for my own enjoyment. Along with my interest in drawing, LEGOs were very inspirational to my pursuit of architecture in college and graduate school.